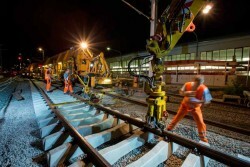 The state budget does not include the balance sheet of the federal railway yet, as the ÖBB is outsourced. Condition for outsourcing is that at least 50% of the revenues must be self-generated. If this condition is not met, the Maastricht criteria require that the debt of the outsourced ÖBB has to be included in the state budget.